Haley Toadvine is a PSU junior majoring in Biobehavioral Health and minoring in psychology. She is a member of Phi Gamma Nu Professional Fraternity and spends time volunteering at Mount Nittany Medical Center. After graduation, Haley plans to attend physician assistant school to pursue a career in the NICU. Jaclyn Yuro is a junior at the PSU majoring in Psychology in addition to pursuing minors in Human Development & Family Studies and Italian. 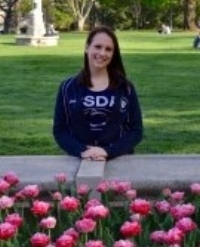 She is a member of the Penn State Dance Alliance and heavily involved in their THON efforts. Jaclyn plans to go on to graduate school to pursue a career as a Child Life Specialist.